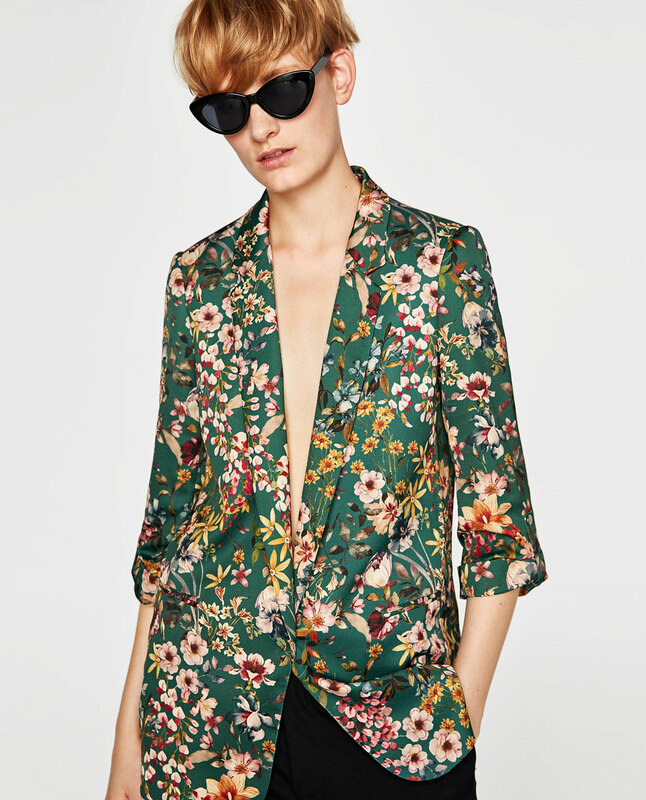 I fondly (maybe only now) recall a floral jacket I used to wear in the early nineties. 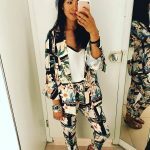 It was a pink and blue floral blazer. With great big shoulder pads. I remember it well because I wore it often and I wore it proudly. There was nothing subtle about it. It was an in your face bright pink flowered piece of “here I am clothing”. 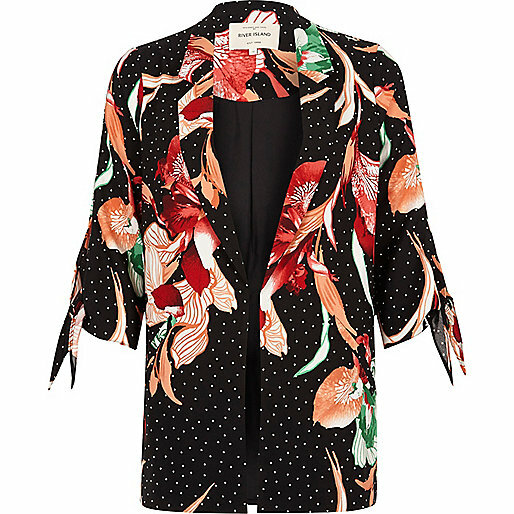 So it comes as no surprise that this nineties inspired fashion is back in the shops, daring us to ditch the neutrals and monochromes and tempting us to wear a coat of many colours as we sail into the cooler days of autumn. How did I feel about it when I first spotted them? 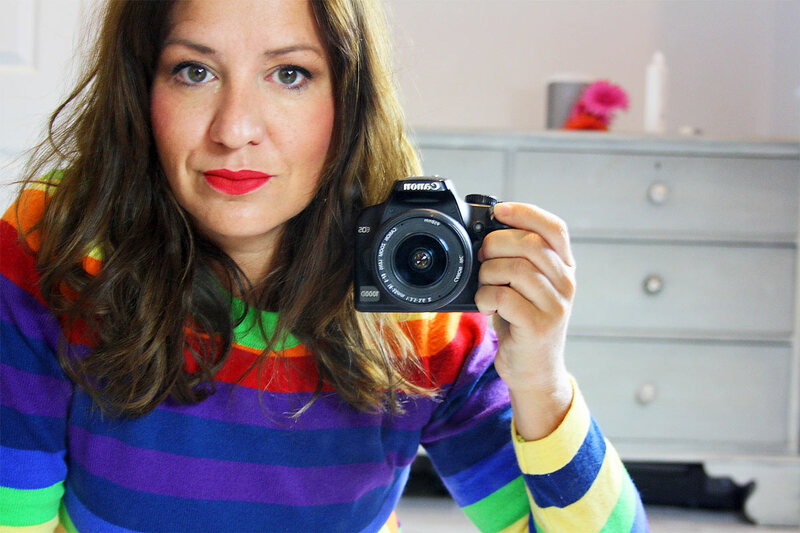 I think I’m a little excited that we can brighten our jeans and autumn outfits as the days get darker and shorter. 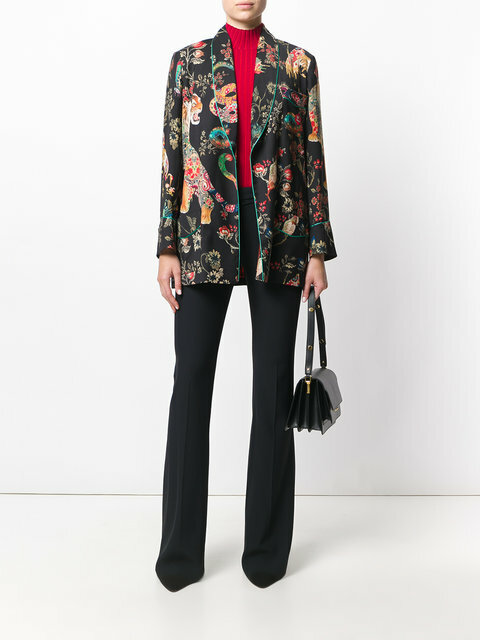 I forgive you for spitting your coffee over your screen when you spot the price tag of the beautiful, but slightly expensive Etro blazer. 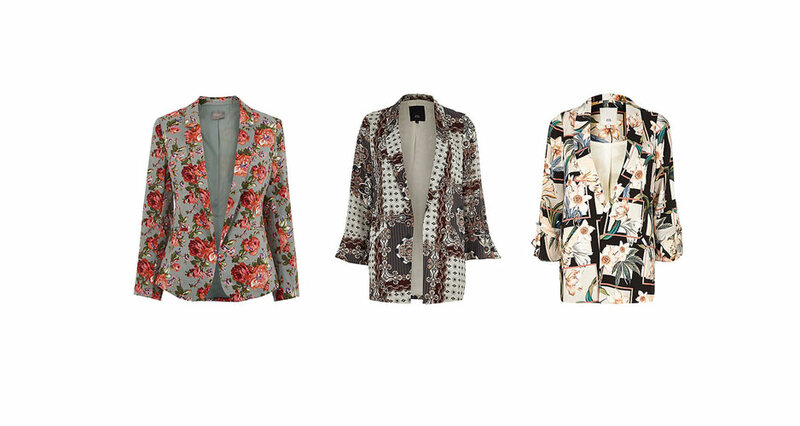 But fret not, here are a few high street options I have come across if you’re ready for this flamboyant look. But they won’t break the bank or require that you remortgage your house. 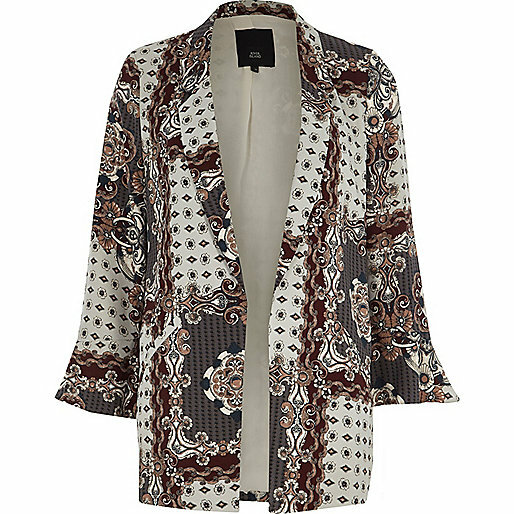 New in, in amazing autumnal colours, Zara’s green printer blazer (£49.99) will brighten up the simplest of outfits. 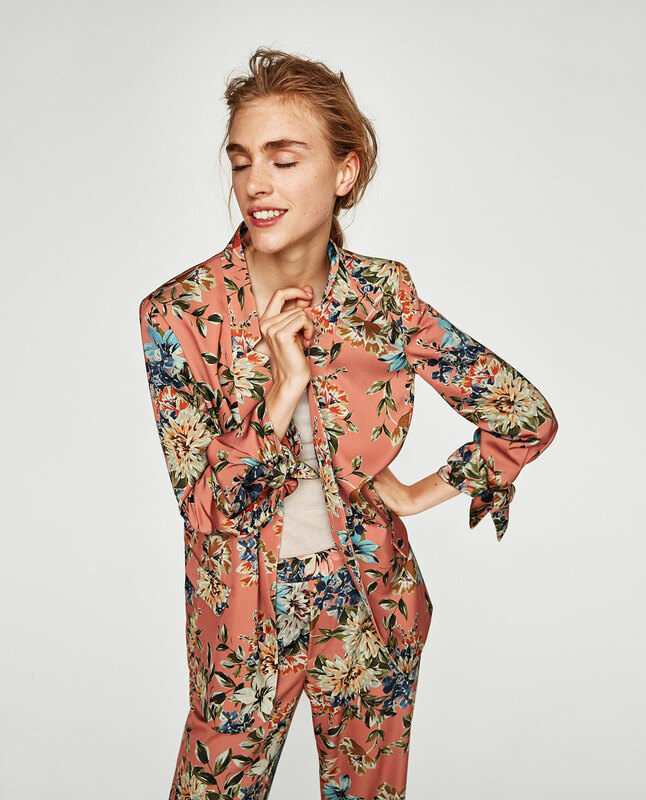 All of the River Island printed blazers come with trousers to match if you are after the co-ordinating items and can carry off the head-to-toe floral look. I’m not sure if my hobbit legs will allow it, but I might be tempted to experiment a little. 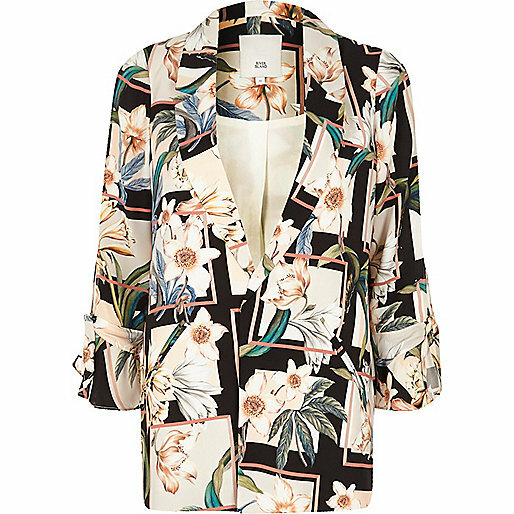 John Lewis has an Oasis Rose Floral Jacket (£65) which reminds me of the one I wore in in the nineties. Just a little. Mine was pinker, with bright blue and white. And the shoulder pads were certainly larger. Think Dynasty. But this one is a pretty bold one too if it’s a statement you want to make. 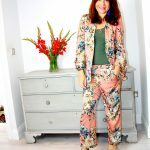 Although several of these jackets have three quarter sleeves, I will layer them over skinny rib jumpers and roll necks as the weather grows chillier over the coming months. Not that we want to be thinking about that. In August. 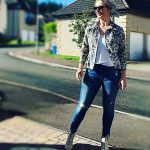 In my next blog post I’ll be looking at more statement jackets that we can use to update our Autumn wardrobe to give it a modern (yes, the nineties are modern again) look without having your bank manager knocking at at your door. 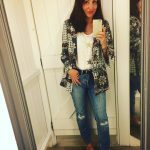 Here are a few images from Instagram featuring bold statement jackets.